A former Mexican governor from the state of Coahuila has been arrested in Spain on corruption charges related to alleged money laundering and organized criminal activity. 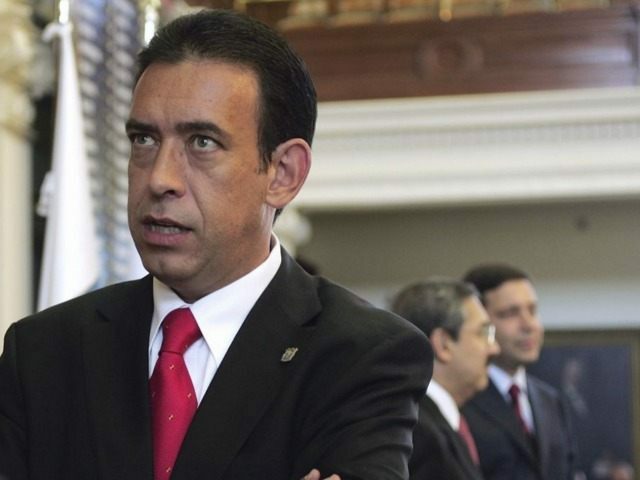 On Friday morning, Spanish authorities arrested Humberto Moreira, the former governor of Coahuila and former chairman of Mexico’s ruling party Partido Revolucionario Institucional (PRI), as he arrived to the international airport in Barajas, Spanish news outlet El Espanol reported. Moreira is wanted by Spanish authorities on charges of money laundering, embezzlement, and organized criminal activity. All the charges come from his term as Coahuila’s governor from 2005 to 2011. According to El Espanol, Spanish Judge Santiago Pedraz ordered the arrest at the airport. Moreira’s staff has begun to tell Mexican media that the arrest of the former governor was due to immigration matters, El Universal reported. Moreira is also facing various allegations of embezzlement and money laundering in U.S. federal court. However those cases are civil forfeiture matters. According to the San Antonio Express News, Moreira and his associates are believed to have stolen millions in state funds and moved some of that money into Texas. While other individuals have been charged criminally for the ransacking of Coahuila’s coffers, Moreira has only been the target of asset forfeitures. It was during Moreira’s time in office that Los Zeta drug cartel grew exponentially in Coahuila with the help of state and local officials. From their inception, Los Zetas have sought to distinguish themselves as the most sadistic cartel and have been responsible for multiple massacres. They are responsible for some of the most gruesome executions and mutilations in Mexico. Currently Coahuila is run by Ruben Moreira, Humberto’s brother. Unlike his predecessor, the current governor has taken a harsh stance against Los Zetas by creating a special police unit known as Los GATES aimed at hunting down and arresting Zetas. On October 2013, Los Zetas killed Humberto’s son, the move appears to have been payback for authorities killing the nephew of then top Zeta boss Miguel Trevino Morales.